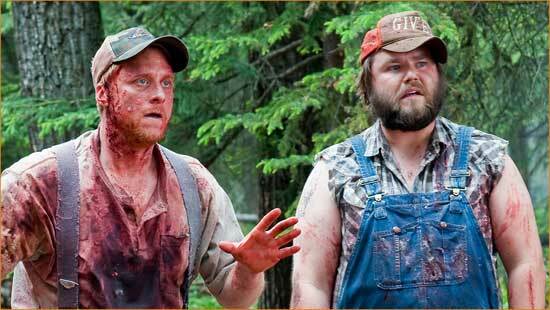 Tucker (Alan Tudyk) and Dale (Tyler Labine) try to make sense of things in "Tucker & Dale vs Evil". 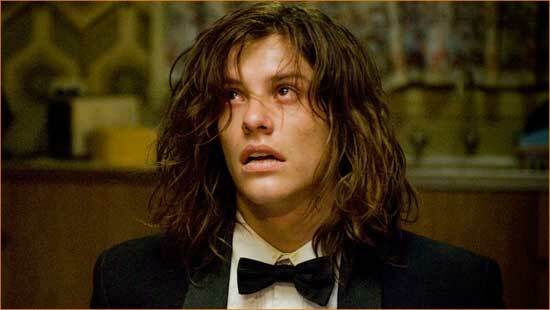 Brent (Xavier Samuel) has the Worst. Prom Date. Ever. in "The Loved Ones". If you’ve been following along from home for a while, you know I’ve been saying there’s something wrong with the horror genre. To recap things quickly, I’ve said that a great many of the horror films that are put out today are formulaic, and quite frankly, not scary. At its base, the modern horror movie is rarely horrific: gory and gruesome, perhaps, but not scary. 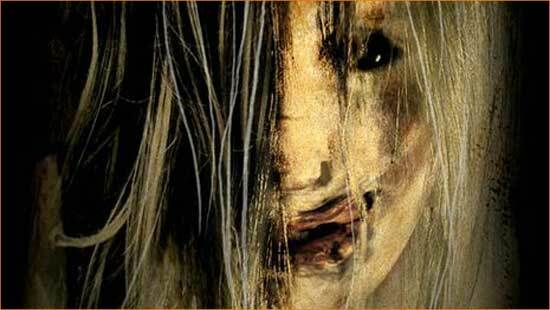 They all seem to take place in an alternate horror film reality too far removed from our own. However, sometimes we get lucky and someone brings the experience back home to us like as is the case with “The Loved Ones”.